Freres Lumber Company announced that it has been granted a Canadian patent for its revolutionary Mass Plywood Panel (MPP), which is currently the only mass timber panel constructed entirely from Structural Composite Lumber (SCL). MPP will allow builders to build taller structures for less cost, faster, while using less wood than with any other mass timber product on the market today. 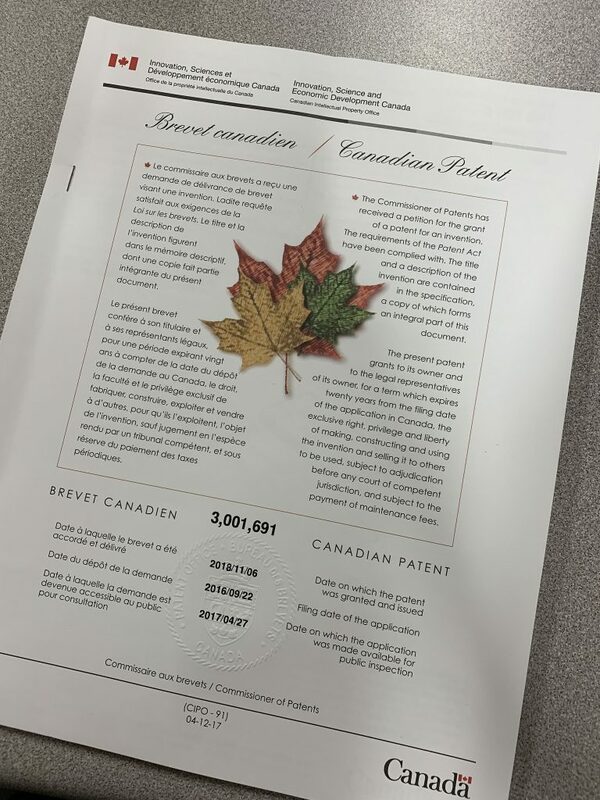 The company received the Canadian Patent the day after the hard copy of their U.S. patent arrived in the mail. Patents have also been granted in Australia and New Zealand. Additionally, Freres Lumber received fire test results from Southwest Research Institute (SwRI), verifying that MPP demonstrates the necessary life safety fire protection performance for single- and multi-family, and multi-story structures up to 18 stories high. MPP has met or exceeded multiple industry building and fire safety standards tests, including APA certification and SwRI fire safety performance evaluation. To conduct the fire-resistance E119 test, a sample of the test material is exposed to certain benchmark temperatures that are reached over a controlled period of time. The test provides a relative measurement of the test materials’ fire resistance when exposed to the standard conditions of a fire. During testing of the MPP panels for the E119 standard, test chamber temperatures reached in excess of 1000 degrees Celsius. MPP floors, MPP walls and char rate were evaluated. For the floor panel test, an 18,100-pound weight load was added that the panel had to withstand during the two-hour fire test. The panel passed the two-hour fire exposure and the extinguish test with a typical garden hose.The results indicate that the floor will last two hours under design load. This allows occupants to escape while providing time for the fire services to put out the fire. The wall panel test had a 147,000-pound weight load applied. During the wall test, the fire temperatures were elevated throughout the entire test, reaching up to 1200 degrees Celsius. The wall panel met a 1.5-hour fire exposure at these elevated temperatures. The E84 test is designed to show comparative measurements of surface flame and smoke development of exposed building materials such as walls, floors and ceilings. In the E84 test, the MPP met a Class B (45), which is typical of Douglas fir plywood. Wood, concrete and steel behave differently in fires; concrete deteriorates, steel becomes ductile and bends, and wood chars. Tests have shown that sometimes mass timber will self-extinguish. The bottom line is, MPP has been tested and passed the life safety fire performance requirements for buildings that require a two-hour fire rating for the floor assembly.